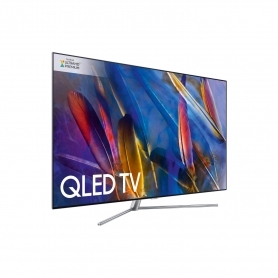 Available in a sterling silver finish, this Smart TV boasts some of Samsung’s latest QLED features. Improve the picture quality of everything you watch with the QE75Q7FAMTXXU. Built-in Wi-Fi and the Q Processing Engine’s power make it easy to stream online content. Experience films and TV in lifelike detail and colour that goes beyond other UHD TVs. Q Colour – This Samsung feature for QLED TVs is a world first for on-screen colour. Most TVs begin to lose their range of colours or suffer from distortion at high levels of brightness. However, with Q Colour, this Samsung TV can express 100% colour volume at any brightness, for a full range of natural colours. Q Processing Engine – Multi-task and stream at high speeds with this powerful processor. This engine enables the QE75Q7FAMTXXU to perform tasks quickly and boosts picture quality across all of your content. 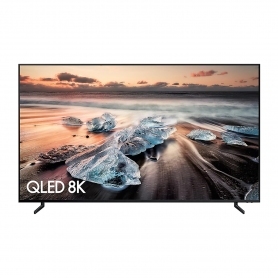 Q HDR 1500 – The improvements to this Samsung TV’s dynamic range give a number of benefits. Colour, brightness and depth are more impactful, bringing new life to your shows, films and content. Q Contrast – The brightness of a room can affect how your TV looks. 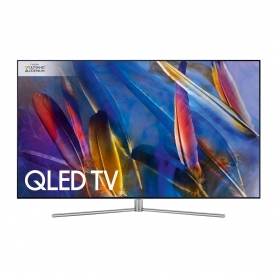 However, due to its light panel, this QLED TV gives a level of contrast to suit the brightness of any room. Come rain or shine, the QE75Q7FAMTXXU will always get it right. Q Viewing Angle – Enjoy the best seat in the house, no matter where you sit. The screen’s wrap-around effect and wide viewing angle ensure that colours stay bold and vivid. If you’re used to a packed living room, this feature could be for you. With features to change the way you watch, discover a new standard for picture quality with this Samsung TV. Looking for the same great features, but prefer a curved screen? Then take a look at Samsung’s Q7C range. Auto Depth Enhancer – For an improved sense of depth in each scene, this feature scans key area of the screen and boosts contrast. Precision Black Pro – LEDs behind the screen can be dimmed to give a wider range of light and dark shades. Precision Black Pro offers deeper darks for true to life shadows. Supreme UHD Dimming – Treating the screen as a grid of many smaller ‘zones’, UHD Dimming scans each square on the grid separately. By tweaking colour, brightness and sharpness for each zone, this feature ensures that every inch of the screen looks its best. The QE75Q7FAMTXXU’s also displays in 10-bit colour, as opposed to the standard 8-bit. This gives the QLED TV over one billion colours and colour mixes to choose from, for a smoother, more intense picture. Coming with TVPlus, this model gives you access to subscription-free HD content through your aerial. You can also use catch-up services, such as iPlayer, All4 and ITV Hub. Record, pause and rewind live TV, to enjoy what you want when you want. With Samsung TV Plus, you have even more viewing options to choose from. Buy the latest films and TV series with this Smart TV feature, or watch the latest trailers for upcoming content. The QE75Q7FAMTXXU can also access Samsung’s growing list of cloud gaming titles. Simply plug in a controller and play a range of recent titles, with no need for a console. This model’s Wi-Fi means you can even use Steam Link, streaming all of your games via PC. Use Samsung’s ‘One Control’ remote to pick what to watch or search online. This all-in-one remote can be used with compatible Blu-Ray players and sound bars for added convenience. 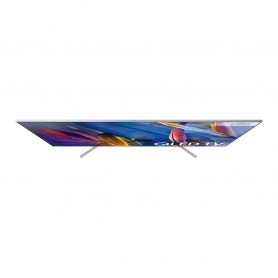 Together with this model’s EPG, you can easily scroll through TV channels, time slots and more. Voice control options allow you to talk to your TV, so you don’t need to press a button. ‘Smart View’ enables you to connect your smartphone to the QE75Q7FAMTXXU – use your mobile as another remote, or stream video content onto the QLED display. A handy ‘One Connect’ box also comes with the QE75Q7FAMTXXU. Boasting a range of ports, you can connect your home devices to this box, using just one cable to link them to the TV. If you don’t want any wires on display, the stainless steel stand can hide the single, near-invisible cable, keeping your screen completely clear. This model has a 40 W RMS sound output, giving a volume range to suit almost any room. Enjoy booming sound to back up your crystal clear display. Heard a song you like on TV? The QE75Q7FAMTXXU can recognise it for you, finding the track’s name and which music services it’s available from. In box – A short, wide-based stand. Perfect to place on a table or desk. Gravity – A thick, conical stand, also suited for tables. 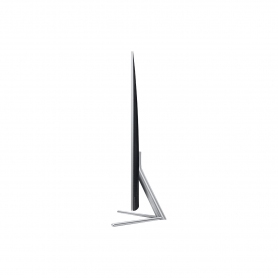 Studio – This tall stand gives the TV more height, for a freestanding set. 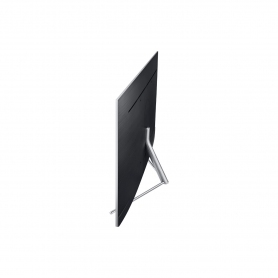 Soundbar Wall Mount – Seamlessly attach a soundbar to your screen with this wall mount. Whether you’re streaming content, playing games or just watching your favourite shows, Samsung’s QE75Q7FAMTXXU has features to make them look their best. Order now.